The Team Cathedral Project (TCP) started as a way to support the Cathedral High School athletic department through school physicals and sports medicine game coverage. It has since evolved to include mentorship between the Cathedral High School students and the Tufts medical students with a large focus on education. 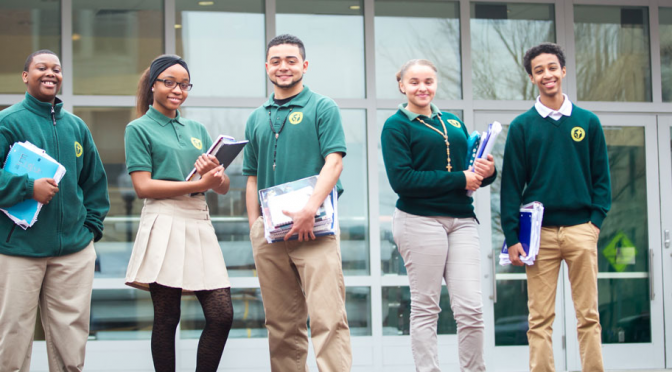 Cathedral High School serves students all over the Boston area including Dorchester, Mattapan, Roxbury, and Hyde Park. They have an amazing 100% success rate in graduating seniors and every graduating senior has earned college admission for the last 12 years straight! Every year, TCP brings the entire junior class of Cathedral High School to Tufts University School of Medicine where they participate in health care career exploration and even get to visit the anatomy lab. This year we are hoping to diversify both the types of careers as well as the demographics of the professionals they will be meeting with. As graduate students conducting research in a wide range of topics in biomedical science you would contribute a valuable and outstanding perspective for these students. If you are interested in speaking to the junior class please let me know. The field trip will be held on Wednesday February 3rd, 2016 and we would need the speakers to be available from about 11am-12pm. Coding isn’t scary — Have fun learning or practicing your skills. Being able to write computer code is an increasingly valuable skill that isn’t commonly taught in primary education, or a part of the curriculum for many undergraduate majors. Similarly, coding/computer programming is nearly absent from the curriculum here at Sackler. There seem to be three dominant reasons for this: coding isn’t always seen as being applicable, code itself can be intimidating, and there isn’t someone qualified to teach the subject. However, being ignorant of coding puts us, individually and as an institution, at a competitive disadvantage, and unnecessarily so. Learning how to code isn’t scary or even particularly difficult. Sure, code can be complex, but no one starts learning how to code by diving into the most difficult examples. The principles of coding are no more complex than basic lab protocols that we here at Sackler are at least comfortable with, if not masters at executing. This is the introduction to a series of short articles about the basics of coding that Sackler students should understand, which will begin with the next issue of the InSight. 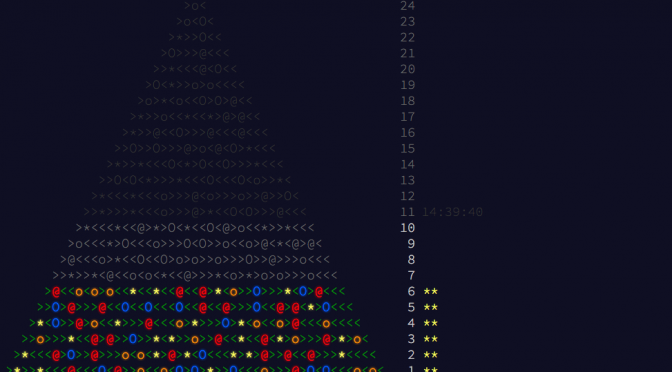 For now, I want to highlight a series of holiday-themed coding puzzles to keep everyone occupied over the holidays. Advent of Code, day 6. 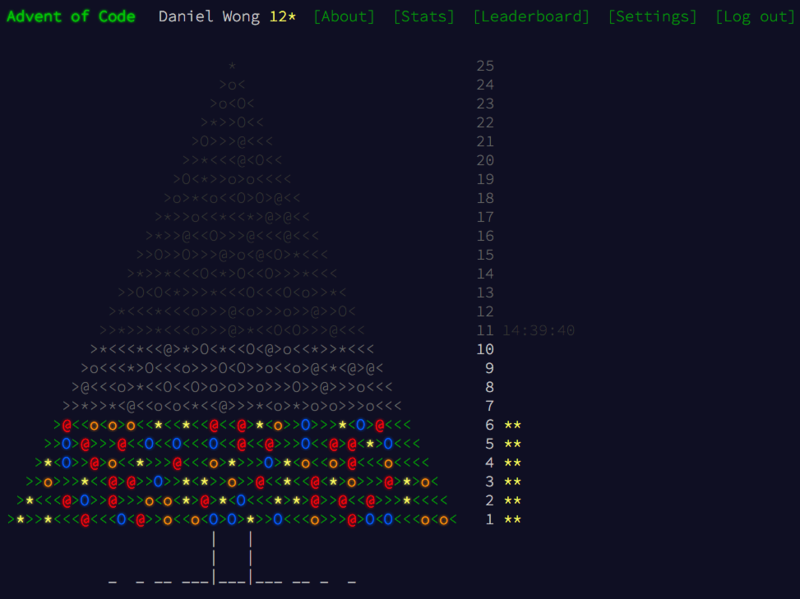 A software engineer named Eric Wastl has put together a series of coding challenges called Advent of Code at adventofcode.com. One two-part puzzle is revealed each day just after midnight. The puzzle takes the form of a word problem, and provides you with input to feed into the code you write to solve the problem. The answer to the puzzle, the output of your code, can be submitted to the site, which tells you if you’re right, too high, or too low. If you’re right, you earn as star for that part of that part of the puzzle, which lights up one level of a Christmas tree rendered in text. Earning the first star of each day changes the corresponding level of the tree from gray to green, while earning the second lights up the “ornaments”. You can use any programming language you like, including Python, R, and PHP, which some students may already be familiar with. Santa is trying to deliver presents in a large apartment building, but he can’t find the right floor - the directions he got are a little confusing. He starts on the ground floor (floor 0) and then follows the instructions one character at a time. An opening parenthesis, (, means he should go up one floor, and a closing parenthesis, ), means he should go down one floor. The apartment building is very tall, and the basement is very deep; he will never find the top or bottom floors. (()) and ()() both result in floor 0. ((( and (()(()( both result in floor 3. ))((((( also results in floor 3. ()) and ))( both result in floor -1 (the first basement level).
))) and )())()) both result in floor -3. To what floor do the instructions take Santa? What is a structured search? A structured search is a systematic approach to finding references in a literature database using Boolean operators (AND, OR, NOT), keywords and controlled vocabulary terms, such Medical Subject Headings (MeSH). The goal of a structured search strategy is to balance recall and relevance (sensitivity and specificity). How do I create a structured search? The key to creating a good structured search is doing a little work before you go to a database. Like all research, a good search begins with a good question. Health professional students are taught to use the acronym PICO to construct clinical questions, where ‘P’ stands for patient or problem, ‘I’ for intervention, exposure or prognostic factor, ‘C’ for comparison, and ‘O’ for outcome. The idea is to create a well-defined question with multiple concepts, which helps you build a search strategy and evaluate the relevance of your search results. You may need to modify your question once you conduct a few searches. Example: How do genetic variants in the vitamin D pathway affect breast cancer risk? Step 2: Identify the key concepts of your questions. Break down your question into its components. You can use the PICO acronym, or simply think: who, what, when, where, how. Step 3: Choose keywords and standardized (controlled vocabulary) terms to describe each concept. The goal of this step is to think of different ways to describe each concept. Keywords are natural language, the terms you use when discussing the concept with a colleague; consider acronyms, abbreviations and close synonyms. Standardized terms are from a controlled vocabulary, such as MeSH in PubMed; not all databases have a controlled vocabulary. The inclusion of multiple keywords and standardized terms ensures that you do not miss relevant articles on your topic, regardless of how an author or indexer described the topic. Step 4: Using Boolean operators, search each concept separately then combine. Boolean operators (AND, OR, NOT) are used to combine words and phrases in a search strategy. Use ‘OR’ to combine all keywords and standardized terms for one concept and run this search in a database. Once you have searched each concept separately, then combine different concepts using ‘AND’. Searching each concept separately allows you to identify any problems with particular terms before you build a complicated search, and gives you the flexibility of combining your concepts in different ways. Step 5: Use filters to limit results. Most databases have filters, such as date, language and publication type, that allow you to further narrow your results. Be judicious when using filters. If you have too many irrelevant results, then you need to modify your search, not apply more filters. This sounds complicated and time-consuming, do I really need to construct a structured search each time I need to find articles? Not necessarily. If you just need a few good articles, then you can enter a couple terms in a database and scan the results. 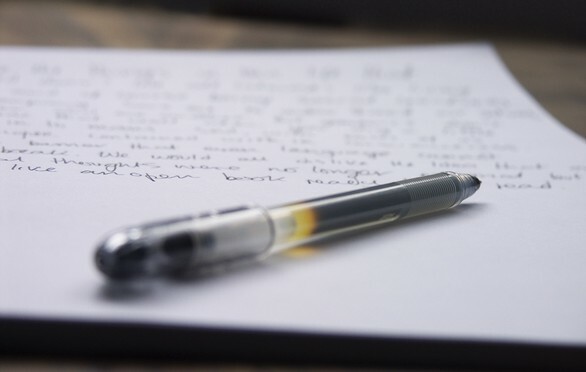 However, if you are doing a literature search for your dissertation, qualifiers, or grant proposal, then it is a good idea to do a structured search. This strategy may require an initial investment of time, but it will (hopefully) save you the frustration of scrolling through hundreds of irrelevant results, or missing an important article. Of course, I am always available to help you construct a search strategy. Time: 12 PM – Supplies run out! 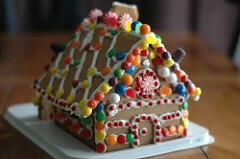 Create your own gingerbread house, snowflakes and other crafts. All supplies will be provided, just bring your creativity! The Hirsh Health Sciences Library’s new website will launch on Sunday, December 20th, so be prepared for a new look. The beta version of the new site is currently available: https://beta.hirshlibrary.tufts.edu/. Provide feedback on the beta site for a chance to win a gift basket. Winner will be announced when the new website is officially launched. JoVE is a peer-reviewed scientific journal that publishes experimental techniques in video format. 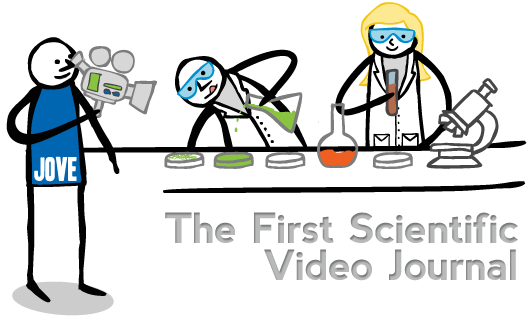 The 8-15 minute, professionally-produced videos show standard and novel methods and procedures in the fields of cellular and molecular biology, bioengineering, immunology, medicine, neuroscience and more. A written protocol, with complete list of materials, accompanies each video article. So next time you are looking for information on how to perform a technique, search or browse JoVE. 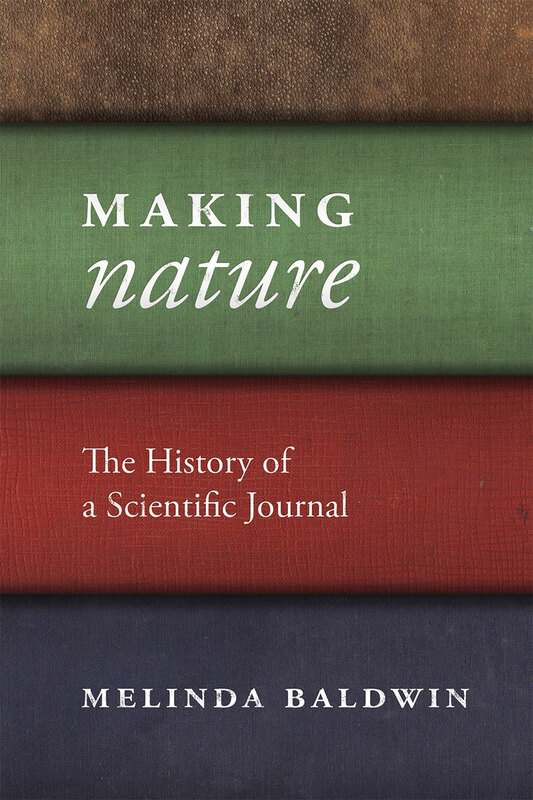 This cultural account examines how editors, contributors, subscribers, and events have shaped the 150-year history of the journal Nature. 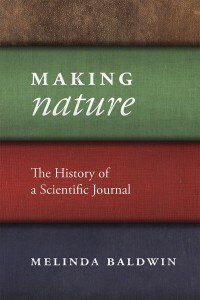 Authored by a lecturer in the History of Science Department at Harvard University. 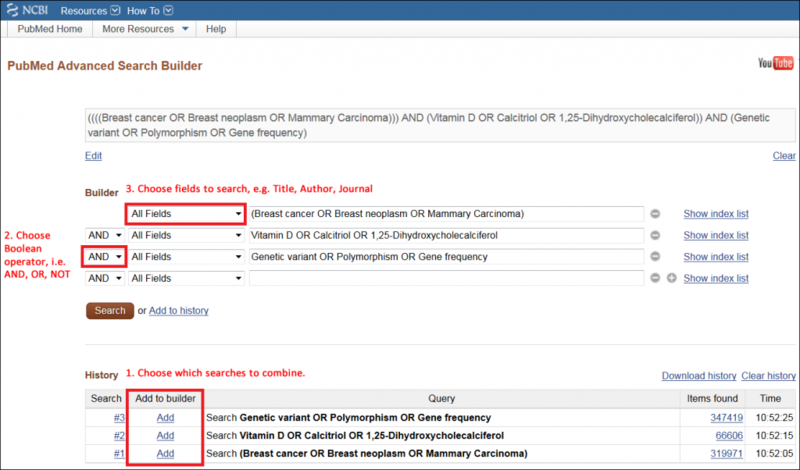 The PubMed Advanced Search Builder allows you to view your search history, search specific fields (e.g. title, author, abstract, journal, etc. ), and combine searches using Boolean operators (AND, OR, NOT). To access the Advanced Search Builder, click on the ‘Advanced’ link below the PubMed search box. Use Advanced Search Builder to view search history and combine searches. 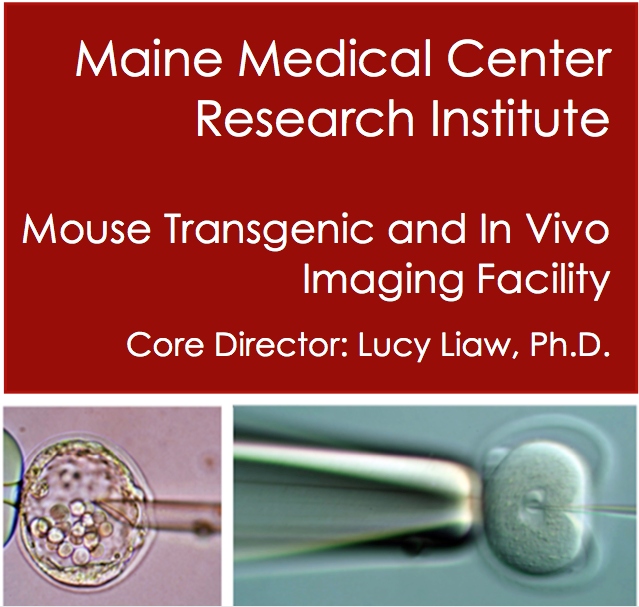 The Maine Medical Center Research Institute (MMCRI) has partnered with Tufts to provide a professional core facility that has over 15 years of experience providing high quality services for the generation of mouse transgenic strains including the use of CRISPR/Cas, cryopreservation of mouse germ cells, and imaging, including MRI and microCT. Mice are generated in a full barrier, AAALAC-accredited animal facility in a transgenic production room that facilitates direct importation of mice into the Tufts barrier facility. Contact us to discuss your mouse and imaging projects. We provide microinjection to generate your mouse models. Services include microinjection of fertilized oocytes with traditional DNA transgenes, or microinjection of CRISPR/Cas. ES cell injection is also performed. Contact us to design your CRISPR mouse project – cost depends on type of modification, strain of mouse, and days of injection. We have a high surveillance production room that will allow importation of mice direct into some barrier facilities. We house a Scanco high speed in vivo microCT scanner X-ray system. Our microCT facility has extensive experience in bone imaging and quantification, and can work on other projects where tissues are provided, i.e., vascular imaging of samples perfused with microfil. We provide quantification and any 3D images of the samples as required. Contact us to get a project quote. Pricing is based on hours of scanning and analysis time. Our MRI facility houses a Bruker Pharmascan 7T, 300 MHz imager with 100 μm resolution. Services include anatomical imaging of most organs, angiography, proton spectroscopy and localized spectroscopy, and cardiac imaging, including diastolic and systolic dimensions of the ventricle. We can house “clean” animals at our facility for studies requiring longitudinal imaging. Contact us for mor information. 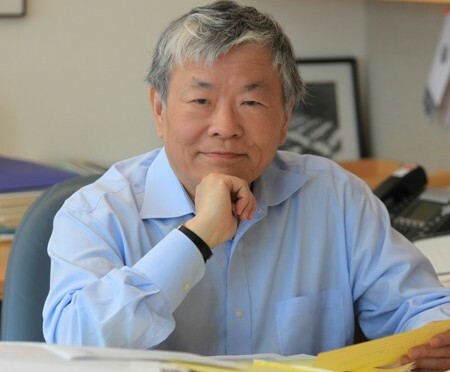 Dr. Susumu Tonegawa is currently the director of RIKEN-MIT Center for Neural Circuit Genetics and holds the Picower professorship of Biology and Neuroscience. He was awarded the Nobel Prize in Physiology or Medicine in 1987 for his discovery of the genetic mechanism behind antibody diversity in the adaptive immune system. His experiments, that started in 1976, countered the contemporary dominant idea that each gene produced one protein as he went on to show that genetic rearrangements in mature B cells in adult mice, compared to embryonic mice, are responsible for the diversity observed in antibodies. Dr. Tonegawa received his Ph.D. in Biology from University of California, San Diego (UCSD) in 1968. He then went on to work as a postdoctoral scholar at the Salk Insitute in San Diego, and later at the Basel Institute for Immunology in Switzerland where he performed his landmark experiments. His current research focuses on understanding the molecular, cellular and neural circuit mechanisms underlying learning and memory formation using genetically engineered mouse models that have spatially or temporally restricted neurotransmitter receptor and enzyme expression, or have conditional knock-out of specific cell populations that are suspected to be involved in memory formation. These mutant mice, along with control mice, are then subjected to analytical methods such as behavioral tasks, in vitro electrophysiology, and both in vivo and in vitro high resolution optical imaging. The main questions his research sees to answer include what happens in the brain during memory formation, consolidation of short-term memory to long-term, and memory recall. He also seeks to understand the role of memory in decision-making, and how other factors such as reward, punishment, attention and emotional state can affect learning and memory formation. These research questions have great implications in understanding memory disorders such as Alzheimer’s where patients are unable to form new memories, or PTSD where patients are unable to suppress recalling of a highly unpleasant memory. For more details on his work, please visit http://tonegawalab.org/research/. On Tuesday, Dec 1, 2015, Dr. Caroline Genco, chair of the Integrative Physiology & Pathobiology, was installed as the inaugural Arthur E. Spiller, M.D. 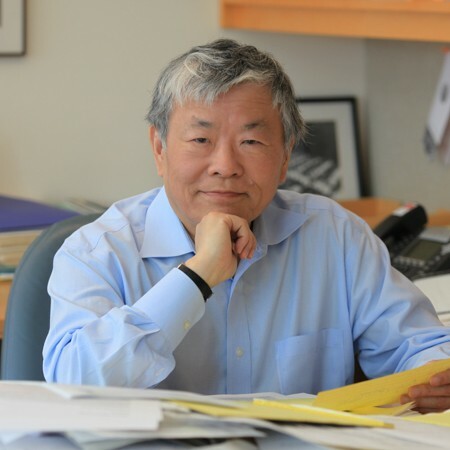 Professor This professorship was made possible by an estate gift from Dr. Spiller and this fund is meant to support “an outstanding biomedical researcher and educator at Tufts University School of Medicine who demonstrates expertise in the field of genetics”. Dr. Genco completed her Bachelor’s degree in Biology at State University of New York (SUNY-Fredonia) and did her graduate work in microbiology at University of Rochester School of Dentistry & Medicine. She went on to work as a postdoctoral scholar at Center of Disease Control (CDC) and later, walked the path of an academic that led her to Boston University School of Medicine (BUMC) prior to Tufts. At BUMC, she was honored with the Lifetime Achievement Award for Research & Service (2012). She has also served on numerous NIH study sections, worked with & advised several pharmaceutical companies, and has mentored a host of graduate students and postdoctoral scholars throughout her career. Dr. Genco’s research spans basic, translational and global health in relation to mucosal pathogens, with a particular interest in genetic elements of host-pathogen interactions in systemic inflammatory disease states. 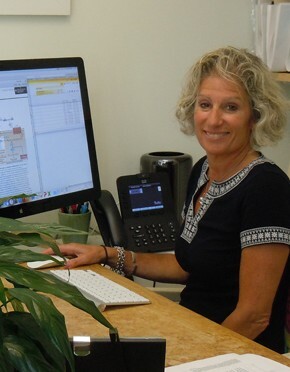 Some of her notable works include establishing the connection between oral mucosal bacteria and their role in atherosclerosis and plaque formation. 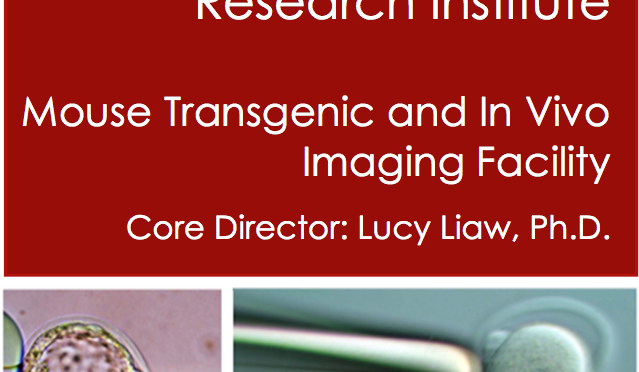 Her current work focuses on innate immune responses to mucosal pathogens, regulatory mechanisms in bacterial pathogens and the association between the microbiome and chronic inflammation, with an interest in pancreatic cancer. More details are available at her Sackler webpage – http://sackler.tufts.edu/Faculty-and-Research/Faculty-Research-Pages/Caroline-Genco. Besides her academic accomplishments, Dr. Genco also serves as the President and Treasurer of the Christina Clarke Genco Foundation, Inc. This non-profit was established in honor of Christina Genco, who passed away in a tragic biking accident in 2011. This organization embodies the values of late Ms. Genco and seeks to empower young adults so they can make a difference in their communities. In addition, the organization also focuses on improving biking safety, providing scholarship to female athletes and assisting affordable housing initiatives. What component, topic, or field do you consider critical to a PhD education, and why should it be prioritized in training? Essays can address anything from incorporating bioinformatics into training, to the need for grant-writing assignments in classes, to how collaborations significantly improve research projects. We only ask that these essays address a general PhD education, not one at Tufts’ specifically. More rules can be found below. Winner(s) will be determined via a school-wide poll on the Insight blog and awarded prize(s). If you are interested in entering or have questions, please email insight@elist.tufts.edu.